I recently read a little comic by the guy who runs TheOatmeal.com about why he runs long distances and it got me thinking on my run this morning. Why do I run…. 1. To Lose Weight- I am 13 pounds away from my pre-baby weight and I have found that running burns a ton of calories in the shortest amount of time. I run to lose that 13 pounds –and I will lose it. 2. To Exercise Without Kids- I love my kids, but because that I stay home with them I am around them ALL THE TIME running allows me to run away. –Run far, far away from my responsibilities of being a mother/wife and have some good alone time. 3. To Create Memories With My Kids- I know, this totally contradicts the statement above, but I cannot always run without my kids. My husband works a strange schedule, so it is very rare when I get to run alone (without waking up at dawn while the family sleeps.) Luckily I purchased this awesome double jogging stroller that I can ACTUALLY run with! I love this stroller and use (and talk) about it all the time. I load the kids up and I do “running park tours”. We run to the first park and I set my timer for 10 minutes for them to play. Then we run to the next par, etc. The little breaks allow me to recover and I can usually get a good 5 mile run in, they get to play, and we have lots of fun going to a ton of parks in a few hours. In the evenings we end our runs with a stop at the frozen yogurt shop in town and everyone enjoys that! 4. Vanity– I run for defined legs, smaller rear, and tighter abs. It is VERY rare that you see someone who is a regular runner and they don’t look good. Running works so many muscles in your body that it’s almost impossible not to see the side effects. And like I said above, I still have some baby weight to lose! 6. Nature- I run to enjoy the beauty of the outside. I live barely outside of city limits and my runs are always scenic. Most of my neighbors have horses, there are acres of forest, acres of fields, deer galore, and bunnies that hop out of my way when I run by. Every once in a while I have to stop and take a picture of something that reminds me how much I love this area we live in. 7. For Myself- The final reason I run is for “ME” time. 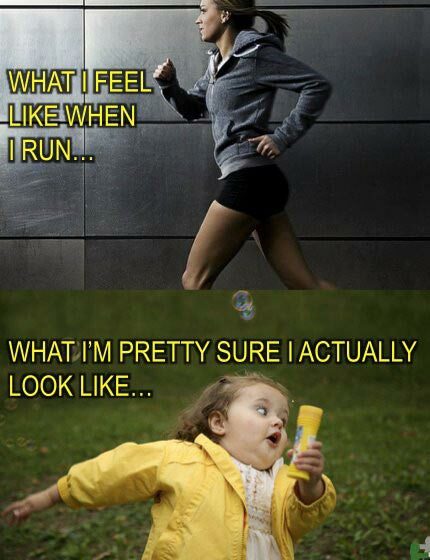 I can say that 75% of the days I go running I don’t want to do it. It’s hard. I feel every muscle in my legs working, my chest is tight from breathing hard (or maybe my asthma? ), my abs start hurting after a while, and I am usually pretty tired after my first mile. However, the feeling I get when I am finished is AWESOME and keeps me going. Not only do you experience the phenomenon known as runner’s high, but you also have the chance to really think while running. It is sort of my therapy to mull over thoughts in my mind, hatch out problems, make plans, or even sometimes it’s my time to just have nothing in my mind. 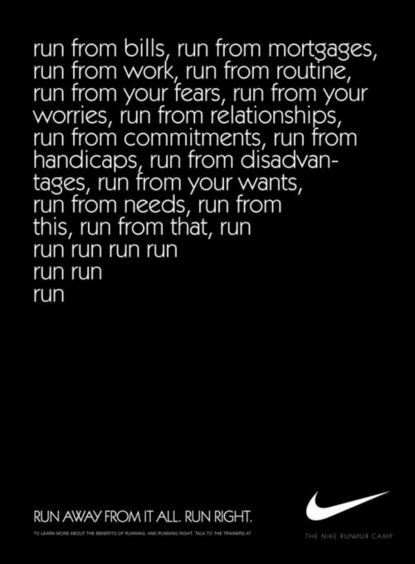 That’s my reasons for why I run. I may not be a marathon runner, the fastest runner, or the best looking runner, but then again I am really just running for myself and that is really all that matters. Do you run? If so, I would love to hear the reasons why you run! This has been the post I have been dreading the most about writing. I have not had any time over the last few months to really post as much as I would like, but this post has been weighing on my mind —literally. It’s the dreaded “losing the baby weight” post. If you follow our blog regularly, you know that I was SOOOO good about documenting this baby weight battle with my first child. (Read previous posts 1, 2, 3, 4, 5, 6, 7, & 8). At the time I wrote the final post of this series Aiden was 9 months old and I weighed 124 pounds. I had lost 46 pounds in 9 months! As of right now, my daughter Remy is 9 months old and can’t be any cuter! However, being that this is now my second child I wanted to confirm the rumors that are true….losing the weight with the second child is harder! At least it seems that way! 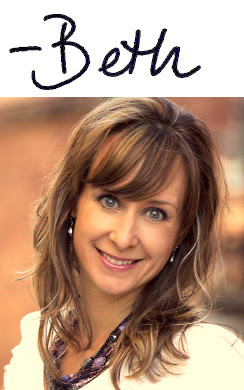 There are a number of reasons I think it seems harder…sleep deprivation, chasing around two kids, lack of time, lack of energy, and honestly I love my nightly glass of red wine with chocolate! Whatever excuses I want to give you, the honest truth is I just decided not to put the pressure on myself the way I did with my first child. My mother always told me that it takes you 10 months to put the weight on and it will take at least 10 months to take it off. I decided to take it easy this time around, spend more time with my kids instead of time with my treadmill, and try to eat healthy most days. Focus on eating healthy, take your kids for walks to parks (far away), and reward yourself periodically so you don’t deprive yourself and binge. You will lose the weight! I have blogged before about how I am somewhat obsessed with exercising. In my post on My Love Of Food, I take you back to my super skinny high school days followed by my freshmen 40. Exercising was something I knew nothing about, until I wanted to lose weight for my wedding. Since that time, I fell completely in love with exercising! My 30 minutes to hour of exercise, I do almost daily, has become my sanctuary time for myself. I have always had a gym to work out in, so imagine my heartbreak when we purchased a house in the country and I found out that the nearest gym (that provides daycare) would be close to a 30 minute drive. NO THANK YOU! 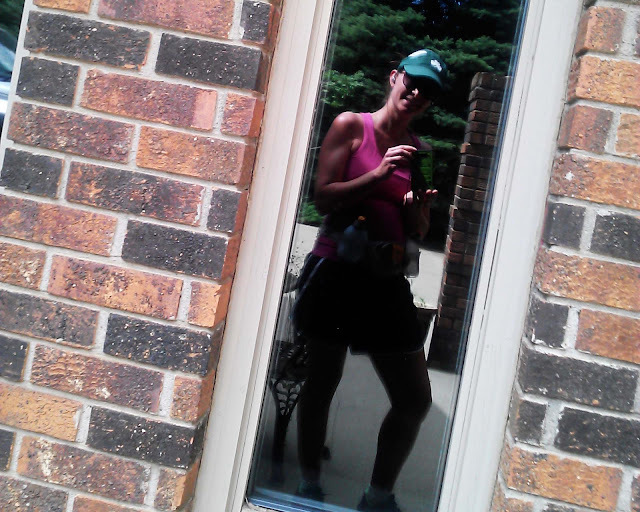 I decided to try something that I have always dreaded…running outside. My husband is a runner. He ran cross country in high school and runs about 20 miles a week and let me tell you, (I am just not saying this because I am his wife) but he has some of the best looking legs I have ever seen! My old roommate and good friend Greta, has always been a runner. I am not exactly sure how far she runs, but I do know that she has some killer six pack abs! It’s obvious that running has been great for her. Also, I have an old coworker that I still stay in touch with on facebook, Lea, who’s daily 6 mile runs, multiple races, and blog has all been quite inspirational. and of course Forest Gump. So I decided to become a runner about two months ago, and I have learned a few things about running (which I will go into detail later with my blog on Lessons For New Runners,) but the best thing I have learned is running gets results. I have lost 1 inch around my hips, 1/2 inch around my waist, and I have a little line of ab definition! I made it down to a 10 minute mile and now run about 4.5 miles at a time. 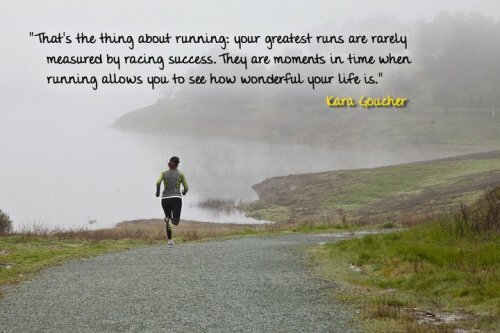 I have somewhat become a big fan of running, which totally surpises me. I love challenging myself each day I go out. I try to run just a little faster or a little farther. I would ideally like to just do a regular 5 mile run a few times a week. The one downside I have found from running is that my calves have gotten bigger 🙁 Oh well, I guess you have tradeoffs with everything. I hope this post motivates some of you out there to get out there and give running a try. I just want to remind you that if I can run 4.5 miles, you can!